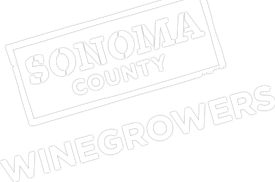 The Sonoma County Winegrowers, the Sonoma County Agricultural Commissioner’s office and The Ratto Group are co-sponsoring two upcoming opportunities to recycle various vineyard materials and plastic containers at no charge. On October 29, from 9:00am to 3:00pm, Plastic Pesticide Containers will be accepted at the Healdsburg Corporation Yard located at 17270 Healdsburg Avenue at Alexander Valley Road in Healdsburg. The containers must have their lids and labels removed and be triple-rinsed, punctured and dried. A Pesticide Container Rinse Certification form is required and attached below. For additional information on the program call Pete Albers at 707-565-2371. Both recycling events are open to all members of the agriculture community with the listed acceptable items to recycle and the appropriate completed forms.